for the Brazilian football team, slender beauty pageant participants from the continent and Easter Island in Chile, the intriguing destination on my bucket list. And of course, Machu Picchu, the hauntingly beautiful Inca citadel in Peruvian heights. The other day I encountered Peru in an absolutely delish way. Organised by the Peru Embassy in India, Nueva, which serves authentic South American fare, is hosting a Peruvian food festival the whole of this winter, presenting dishes crafted and curated by Chef Michael Swamy, toasted for his recipe developing and food styling skills. The best part of the festival is that the fine-diner is serving dishes without any dilution or distortion. You get to taste the indigenous flavours popular with the locals and cuisines brought in with immigrants from Europe, Asia and West Africa. So yes, they do the pasta and the sushi as well, but in a completely Latin avatar. Nueva has been doing things differently. 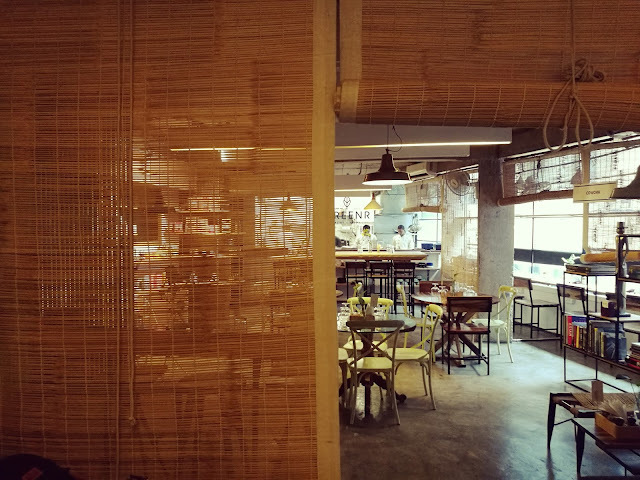 Right from a menu that has been designed with artworks created by emerging artists and table bric-a-brac that’s handcrafted, the space is minimalist focussing totally on the victuals, a characteristic I got to sample at the food tasting. chilly aftertaste. It is sweet, sour and good enough to do almost bottoms up. Excited enough, I grin from ear to ear when the chef sends out a Chicken Causa on a bed of mashed potato. One can make out it is the humble food of the locals, served with bread, on a warm summer day. The chicken bits are countered well with the buttery softness of the potato. Ceviche is a dish that can be a bit tricky for the Indian palate because of the sourness. Raw fish and vegetables are cured in a variety of ingredients to make it soft yet sharp. While there are restaurants tempering the dish down to suit guests, Chef Swamy insists on keeping it real. As I bite into a Mushroom ceviche, I can feel the tingling sensation on my tongue. The sourness is striking and the chilly is strong. The Bengali in me is pretty kicked. The Tiradito of Sole, a fish ceviche is good too, but I prefer the mushroom one. It’s enlivening and creates an image in my mind of pretty young girls in Peru giggling and chatting over these fresh pickled delicacies. with the Chicken Piri Piri skewers. Life couldn’t be spicier. The chicken is succulent, the bell peppers are crunchy and the piri piri flavour prickles my palate perfectly. Latin America is popular for its love for local chillies and now I know why. These are distinct, spicy and turns a normal barbeque into a thorough winner. If you are fond of the Spanish cold Gazpacho soup, you definitely must try the Parihuela soup at Nueva. It’s a tomato based warm soup that has a pleasant peasant feel in it. The prawn is chunky and delicate while the soup is a reminder of the way rustic farmers fill themselves up with after a hard day of work. It has that brothy freshness and meaty wholesomeness, seasoned beautifully with a handful of spices. Bengalis have a thing for fish. So, when given a choice I immediately opt for the Chimichuri Trout. The fish is brought out gaping at me, while the plate hosts beautiful colours on it, courtesy the styling tricks of the chef. But, after a few bites I decide that maybe I would like my fish to be a bit more exciting. While the Chimichuri sauce is fresh and sharp, the dish needs some exotic flavours to stand out. The pasta and the couscous are a tad bland. Delhi foodies would want something more from this one. And, am sure the able hands in the kitchen will take note of this feedback. The meal draws to a close with a comforting orange and saffron quinoa pudding. It’s sweet, flavoursome and just as it is supposed to be — -comforting.